Why don’t I see any affilinet product data? 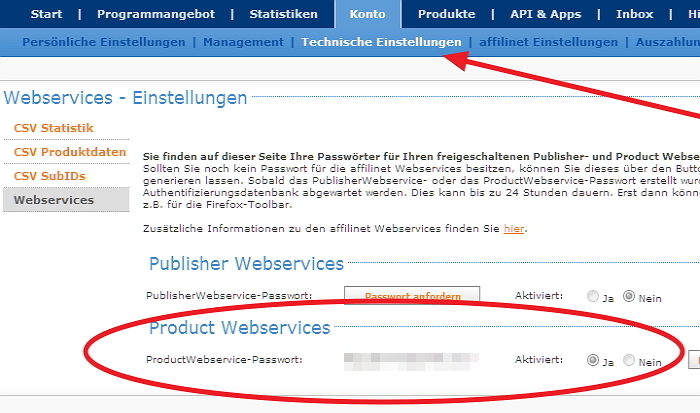 Your Publisher-ID and the Webservices-Password must be entered into your CleverReach account under [My Account] > [Extras] > [Integrations] > [Affilinet]. In affilinet under [Account] > [Technical settings] > [Product webservice] needs to be activated (this can take up to 48 hours). There must be an existing partnership with the respective provider which offers the “webservice” for his products.